You will find below the horoscope of Véronika Loubry with her interactive chart, an excerpt of her astrological portrait and her planetary dominants. If you know the time of birth of Véronika Loubry, we would appreciate it if you would send us your information with your source, at stars@astrotheme.com. To thank you for contributing to the enhancement of our astrological database, we shall be glad to send you the astrological portrait (34 pages) of this celebrity. Horoscopes having the same aspect Sun sextile Jupiter (orb 0°03'): Elvis Presley, Benedict Cumberbatch, Isaac Newton, Bradley Cooper, James Franco, Courtney Love, Alexander the Great, River Phoenix, Lorde, Claudia Schiffer, Vivien Leigh, Hugh Hefner... Find all the celebrities having this aspect. Celebrities clicked on in real-time: 576,844,835 times. Here are some character traits from Véronika Loubry's birth chart. This description is far from being comprehensive but it can shed light on his/her personality, which is still interesting for professional astrologers or astrology lovers. 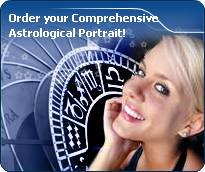 In a matter of minutes, you can get at your email address your astrological portrait (approximately 32 pages), a much more comprehensive report than this portrait of Véronika Loubry. Warning: when the birth time is unknown, which is the case for Véronika Loubry, a few paragraphs become irrelevant; distributions in hemispheres and quadrants are meaningless, so are dominant houses and houses' accentuations. Therefore, some chapters are removed from this part. The predominance of Water signs indicates high sensitivity and elevation through feelings, Véronika Loubry. Your heart and your emotions are your driving forces, and you can't do anything on Earth if you don't feel a strong affective charge (as a matter of fact, the word "feeling" is essential in your psychology). You need to love in order to understand, and to feel in order to take action, to the detriment of a certain vulnerability against which you should learn to fight. Like the majority of Earth signs, Véronika Loubry, you are efficient, concrete and not too emotional. What matters to you is what you see: you judge the tree by its fruits. Your ideas keep changing, words disappear, but actions and their consequences are visible and remain. Express your sensitivity, even if it means revealing your vulnerability. Emotions, energy and communication must not be neglected; concrete action is meaningless if it is not justified by your heart, your intellect or your enthusiasm. Fire's qualities are not very present in your chart, with only 3.40% instead of the average 25%, which means that you may lack warmth, enthusiasm, conquering spirit, or energy. You may look indifferent to others, with almost no desire, no joy of life or no enterprising ability. Actually, it is not true, but you should let go, force yourself to be more daring, and show your amazement as well as your vitality. You certainly have as much energy as others, you just need to release it, and it is up to you to display more of it, since it will be all to your benefit: shout, sing, pull faces, dance! That's the right mean for you... In the end, you'll never be accused of being sad, phlegmatic or a killjoy! Véronika Loubry, the Cardinal mode is dominant here and indicates a predisposition to action, and more exactly, to impulsion and to undertake: you are very keen to implement the plans you have in mind, to get things going and to create them. This is the most important aspect that inspires enthusiasm and adrenalin in you, without which you can grow weary rapidly. You are individualistic (maybe too much?) and assertive. You let others strengthen and improve the constructions which you built with fervour. After this paragraph about dominant planets, of Véronika Loubry, here are the character traits that you must read more carefully than the previous texts since they are very specific: the texts about dominant planets only give background information about the personality and remain quite general: they emphasize or, on the contrary, mitigate different particularities or facets of a personality. A human being is a complex whole and only bodies of texts can attempt to successfully figure out all the finer points. Véronika Loubry, an enquiring intelligence, an instant understanding and a wide range of interests prompt you to go towards other people in all circumstances with a view to exchanging ideas and to show your talent for repartee. Ideas and actions must be quick and you are likely to be impatient, even critical and sarcastic with people who cannot match your frantic rhythm. You are very adaptable, you can do several different things at the same time and also think of a future action because you constantly need to be on the move. You may be criticized for your superficiality, for spreading yourself too thin and for your propensity to conceal the truth, but you always get out of tricky situations incredibly well because you are very astute, shrewd and charming. You are sensitive, vulnerable and tender at the same time, Véronika Loubry. When you love, you give your entire affection and your partner may in all confidence rely on a long-lasting and reassuring relationship. You are so calm and so tender that you think that it is enough to win over your partner's heart, and you are often right. However, do not mix up giving and receiving. You so deeply need to receive love in return that you may be too passive and in the long run, as you become demanding, you may show immaturity. Security and sustainability in your relationship are of utmost importance. Your family also is important, it is the refuge, even the sanctuary, where you like you hide when things go awry. You also dream of love, may be too much, and it may be detrimental to what might be concretely experienced if you were more dynamic or less fearful to get hurt. However, remember that you receive only as much as you give. It is difficult to find a more sensitive person than you, Véronika Loubry. You are able to contain your aggressiveness and it may be hard for you to exteriorize your feelings. You are usually passive and you draw your strength from inertia and resistance more than from the will to take action. Your mood is changing, you show little of yourself and you may surprise with your inopportune reactions that come late, when people have forgotten what it was all about. The only area where you express yourself with zeal and where your actions are successful is the area of home or, more symbolically, in the fields where you can achieve security. In other words, you need to feel comfortable before you can move, in concrete matters as well as in sexuality. This text is only an excerpt from of Véronika Loubry's portrait. We hope that it will arouse your curiosity, and that it will prompt you to deepen your knowledge of astrology, as well as to visit and use the wide range of free applications at www.astrotheme.com.